Following the release of 80 children - all boys - from Badagry prison recently, the United Nations Children’s Fund and the Lagos state government have cautioned police and judges across the nation on the need to end conviction of children who are in conflict with the law and calls for release of the other 70 boys left. They gave this call at a media briefing organised by the Lagos state Ministry of Youth and Social Development in collaboration with Grace Spring rehabilitation home. The state government and UNICEF noted that punishing child offenders is an offense against the law which must not exist again. It was also said that offending children are meant to be referred to rehabilitation home where they will be privileged to behavioural correction for the benefit of their society. According to UNICEF Child Justice Consultant, Dr. Wilfred Mammah, “A high number of offending children are already languishing in Nigeria prisons, thereby a quick need for programmes to forestall such occurrence and divert offending children for rehabilitation”. "For those children released, we were able to locate 30 parents. We first rehabilitate them, checked their health status then handed them over to their families. Although some are yet to remember their residences or their last names, we shall continue to help them remember," he said. Although he lamented and expressed displeasure over the 70 children still in prison, he was certain that they would be freed shortly. "And we are calling on the police and the judges to put an end to child conviction in the state. They are just children." Speaking on the Community Rehabilitation Programme which was intended to prevent children from offending and re-offending, Wilfred added that UNICEF is in support of Lagos state government alongside Grace Spring Rehabilitation home on the programme. 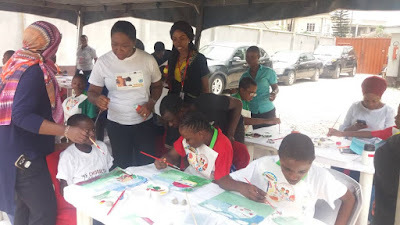 Meanwhile, the Lagos state Ministry of Youth and Social Development, noted that the community rehabilitation programme provides police with an option to divert children in conflict with the law from going through the criminal justice system. A Chief Social Welfare Officer with the ministry, Mr. Yakubu Jubril, maintained that “The programme is planned to have offending children referred from various referrals such as police, prosecutors, family court judges and magistrate, social welfare officers at LGAs, court assessors and others, rehabilitated instead of punishment”. Now, the coordinator of Grace Spring Rehabilitation Home, Mrs Lara Odubote, said the community rehabilitation programme is an alternative to traditional measures and punishment, such as the trial process, corporal punishment and custodial sentences. She added that the programme focuses on addressing root causes of offending and preventing re-offending by working closely with child and the child’s family. She mourned that the psychological effect of such harm on children had much effect on the children, their parents and the society, too; hence, the rehabilitation centres are sited in Mushin and Ilupeju Local government areas of Lagos state, Odubote expressed that the areas were selected due to their proximity to Kosofe Local government where UNICEF is piloting a child protection system strengthening model. Therefore, the coordinators of the community rehabilitation programme, however, unanimously called on media across the state for adequate partnership for successful execution of the programme in Lagos state.